Laxapana Falls is 126 m (413 ft) high and the 8th highest waterfall in Sri Lanka and 625th highest waterfall in the world.It is situated in Maskeliya area in Nuwara Eliya District, about 16 km (9.9 mi) from Maskeliya town on Maskeliya-Norton Bridge road, in a village called Kiriwan Eliya. 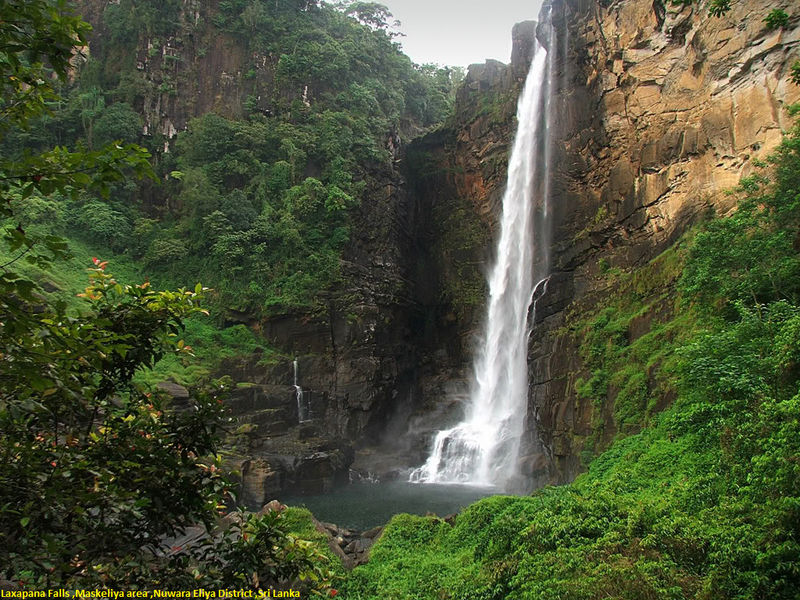 It is formed by Maskeliya Oya near the confluence of Kehelgamu Oya and Maskeliya Oya which forms Kelani River. The falls gives its name to twin hydroelectric power stations, Old Laxapana Power Station and New Laxapana Power Station. Making your way towards Laxapana requires a private vehicle. There's quite a lot of driving involved but with Google Maps and residents around the area once you reach Norton Bridge, it's not too hard to find. However, it's only a four hour ride from Colombo and getting back from there is easy. The easiest route from Colombo is if you go via Malabe, Avissawella, Ruwanwella, Kitulgala, Ginigathhena and then get to Norton Bridge. There are a couple of little kadeys just past the bridge in the picturesque little town where the bridge is at, where you can stop by for some food, tea, and coffee. From Norton Bridge, make your way to the 4th Mile Post and then straight on to Laxapana. Make sure you ask around a bit though, because there's a route which leads you to the powerstation which you may take by mistake instead. The Falls are about 15-20 minutes passing the lane to the power station.